The Lorenzo Floor Lamp by Eichholtz will make a luxurious addition to a bedroom or living space. Sat on a circular mount, the golden frame features crystal spheres that graduate the length of base. 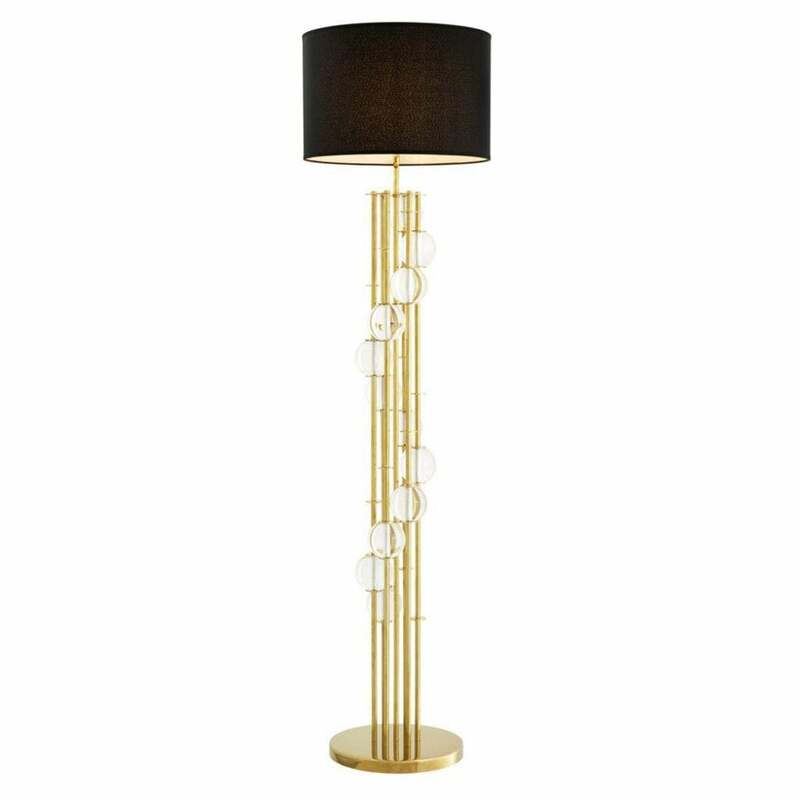 The geometric style and Art Deco inspired accents give this floor lamp an opulent and decadent feel. Pair with other Art Deco influences such as club chairs, drink trolleys and tropical wallpaper for an on-trend interior scheme. Complete with complementary black shade, this design is also available with a pure white shade for an elegant look. Make an enquiry for more information.